With everything going on during the holidays, and other festivities the past several weeks, I feel like I've been out of touch on social media. I'm also waking up to 40+ retail emails spamming me every morning. In the flurry of all these messages, I missed some very important announcements from upcoming local races. 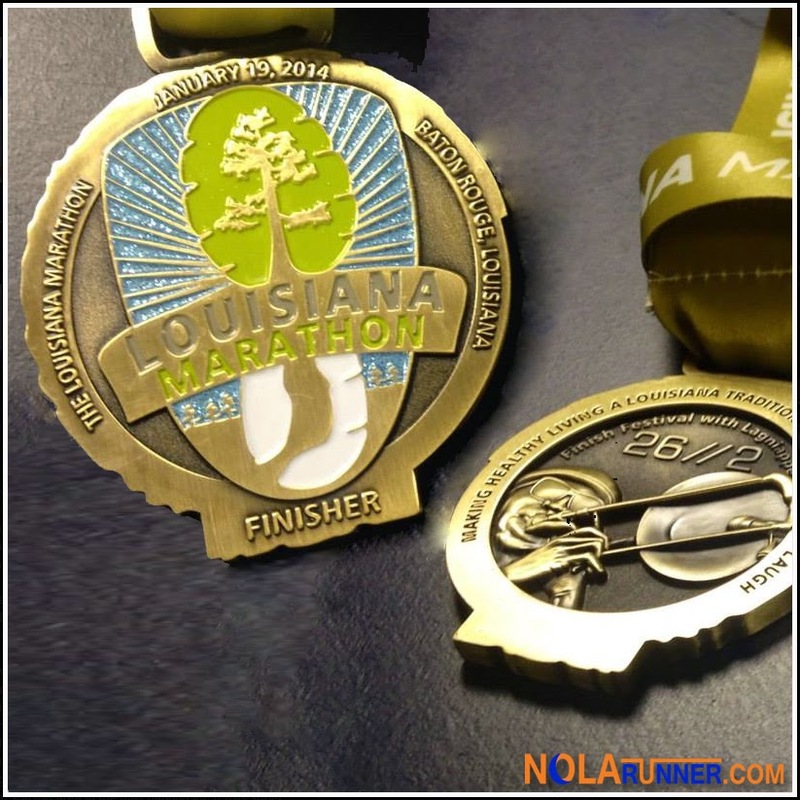 Today, I present the one place to see all the medals from upcoming marathons and halves in the South Louisiana / Mississippi area! The following races revealed what would be waiting for finishers as they cross the finish line. In its third year, this race has stepped up its medal game with what looks to be a very thick and heavy reward for participants. Adding some sparkle to its medal that doubles as a bottle opener, the front design keeps with the traditional logo for the race. The back of the medal is good enough to be the front, so I'm not worried about putting it on backwards to walk around post-race activities. Only the Full medal was showcased on the races' Facebook page, but it looks like the full is gold in color and the half is silver. Not far from home is this Mississippi event. Just head north on I-55 to Jackson, and three hours away you'll reach this race that's near sell-out capacity. Runners from all 50 states will be in attendance as they start and finish on the grounds of the Mississippi Museum of Art. I particularly like the attention to detail on the blues guitar, use of color, and the dangling pick at the base. 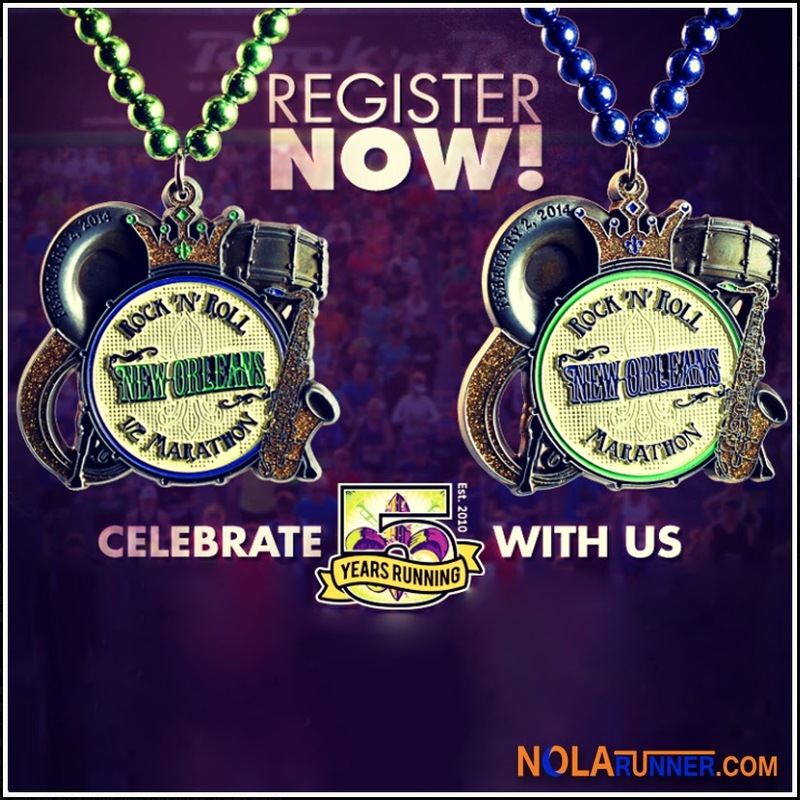 The fifth anniversary race medal embraces the musical heritage of the Crescent City with the instruments of a jazz band surrounding a logo of New Orleans-esqe fonts. I like the use of brushed metal to give it an antique feel, and the inclusion of the full date of the race on the front of the design. 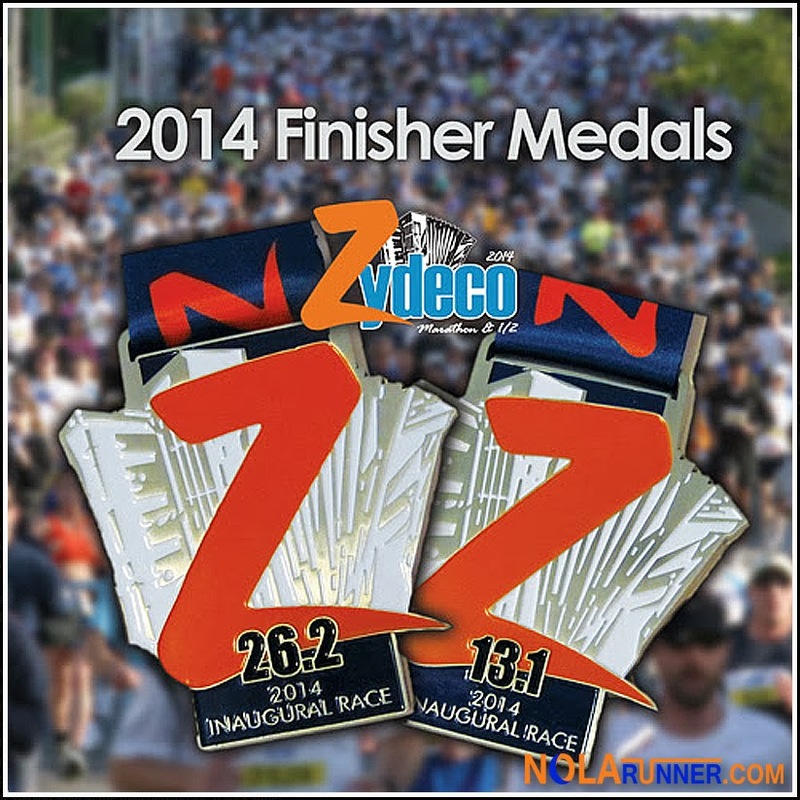 Each year, this race has the best design of all the Rock 'n' Roll Marathon Series medals. I give credit to a talented event manager that pays attention to detail, as well as a venue steeped in culture that lends itself to great works of art. A brand new race added to the Louisiana running calendar, the Zydeco Marathon takes over Lafayette in late March. I saw the email unveiling these medals as I was lining up for another marathon in the pre-dawn hours of Saturday morning. After forwarding it to a friend, we agreed that it's "one fierce looking Z." After I get through the holidays, I'll be looking in to hotel rooms to spend the night in Lafayette, run the race, and prepare to take in some of the restaurants the city is known for. All photos provided by the races' websites or facebook pages and are not to scale. For more info and other images, click the links above. One day I would like to do the Mississippi one (Half) have you done it before? The medal looks sweet. 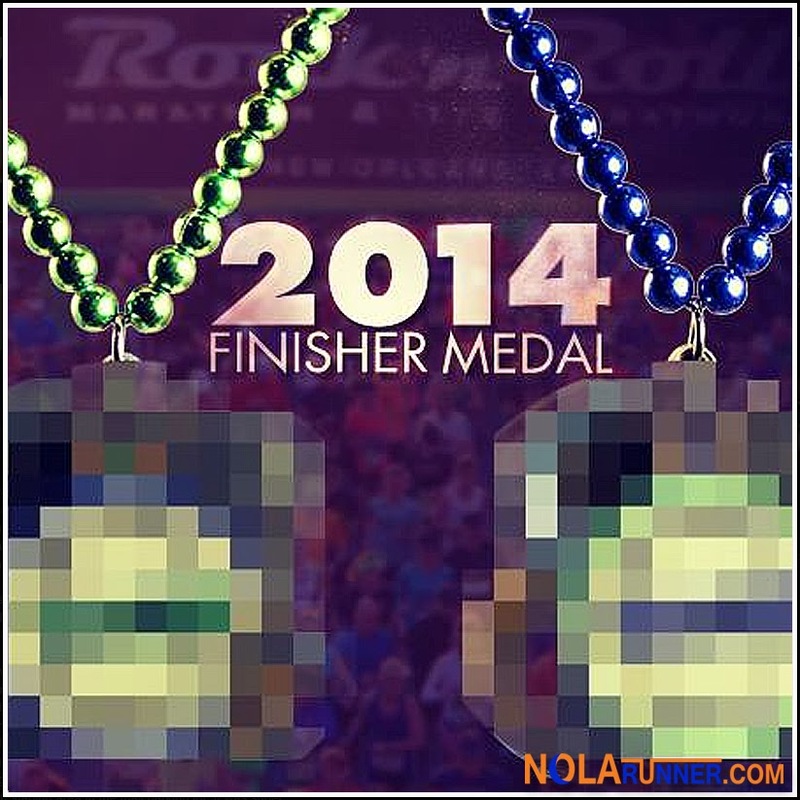 I cant wait to get the LA Half for my 10th I am sure the Silver one will be nice and of course my 1st Marathon medal at RNRNOLA. Hmmmmm. does the Full medal look bigger than the Half from your pic it might? I guess we will see . Great post Fred! Traditionally the RnR medals have been the same size, Nicole. They do have the distance written in the design, and there are color changes between the half / full., but typically otherwise identical. 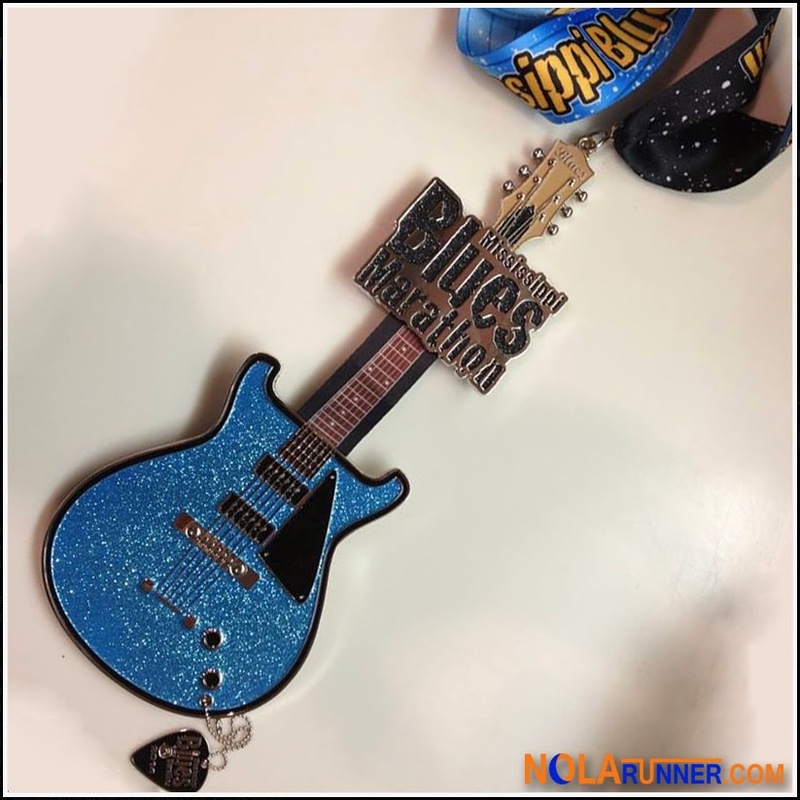 I have not done Mississippi Blues before, mainly because it always falls on the same weekend at Walt Disney World, Louisiana Marathon, or another race on my schedule. I'd like to do it as well.